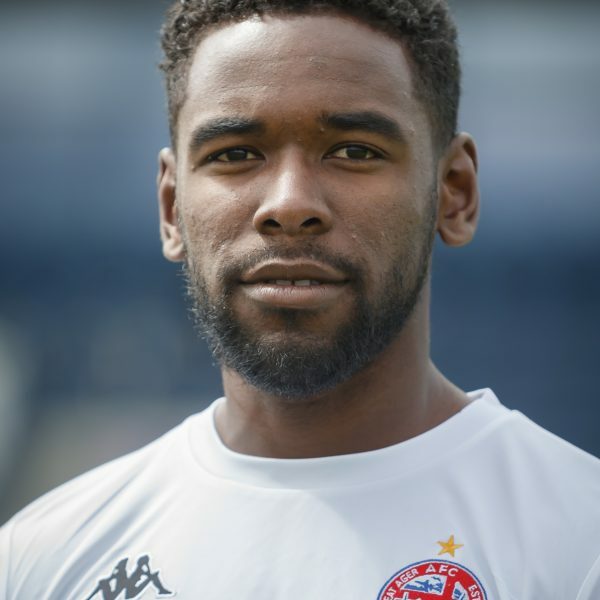 Former Tottenham-Hotspur full-back Zaine Francis-Angol joined after Fylde in the summer of 2017 having left Kidderminster Harriers at the end of the season. Kidderminster lost to Chorley in the National League North play-off semi-finals but Francis-Angol’s performances impressed Dave Challinor enough to bring the defender in to become the club’s first choice left-back. Angol has experienced top-flight football in Scotland with Motherwell where he spent four years after leaving White-Hart Lane. Whilst at Motherwell, Zaine also experienced playing in the Champions League against Greek giants Panathinaikos. Francis-Angol is also a full international at senior level having played gained 18 caps so far for Antigua and Barbuda. He was integral to Fylde’s success in 17/18 and was rewarded with the club’s Player of the Year award, as voted for by the supporters.